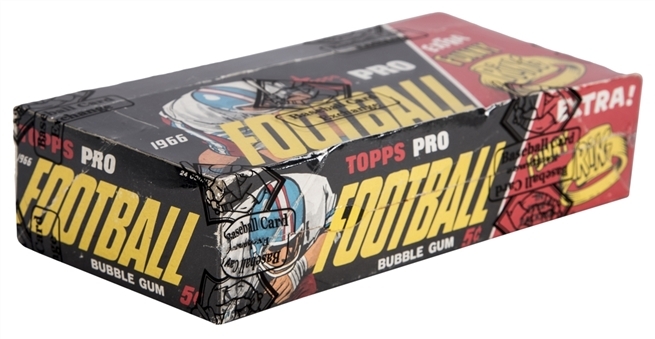 This very special offering reveals a complete, unopened wax box of 1966 Topps football cards. 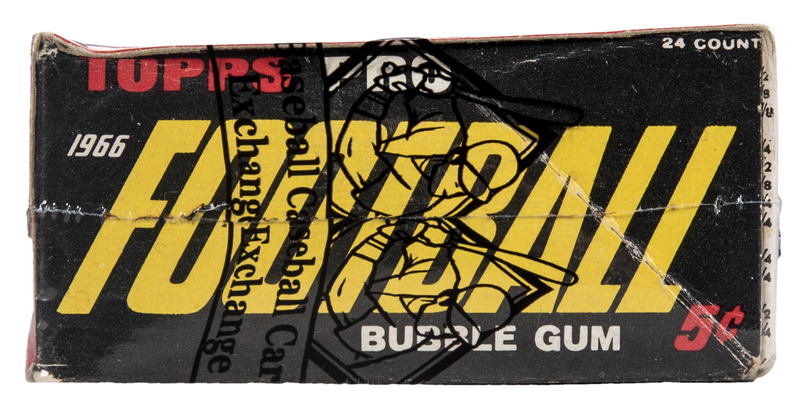 The relic's contents, beautifully preserved for more than five decades, are still configured in their original five-cent wax packs. 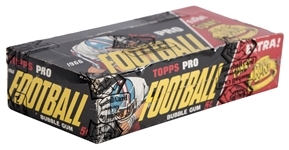 The '66 Topps set's highlights include depictions of such AFL stars as Joe Namath (on his second-year card), Jim Otto, George Blanda, Don Maynard, Bobby Bell, Fred Biletnikoff, Nick Buoniconti and Jack Kemp, as well as the issue's fascinating and elusive Funny Ring Checklist. 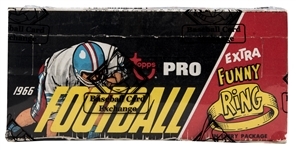 (This box also incubates two dozen single, never-touched "Funny Rings" inserts.) 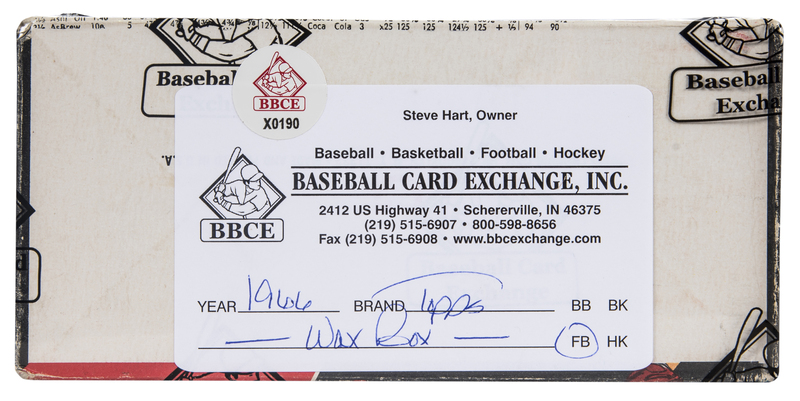 The completely unhandled and highly sensitive woodgrain-bordered collectibles filling this box's packs are truly exciting to contemplate! 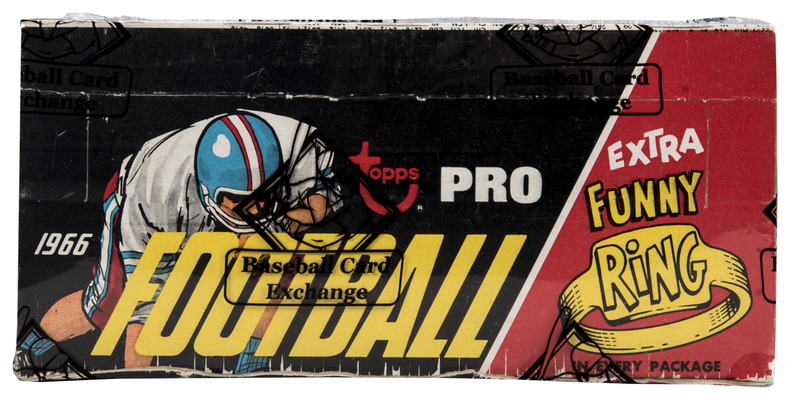 The packs remain undisturbed in their box, which is protected by securely sealed "Baseball Card Exchange" plastic wrapping. 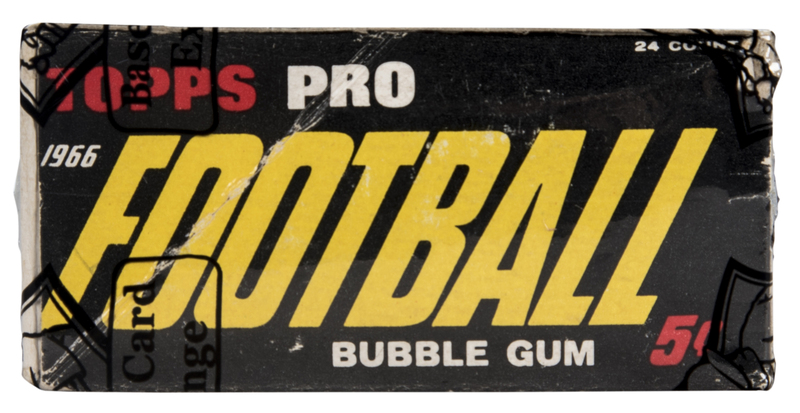 This is the first ever certified unopened wax box of 1966 Topps Football. Auction closed on Sunday, February 18, 2018.